Manijeh Hekmat, a prominent Iranian filmmaker, in her latest work “The Old Road,” has addressed the social problem of violence against women, at a time when the issue has turned into a matter of discussion for thinkers around the world. Hekmat, who has won numerous awards in Iran and other countries, has made her latest feature film about fighting violence against women, which is her main social concern. “The Old Road” is Hekmat’s fourth feature film after being a decade away from filmmaking. In recent years, she has been working as a producer and distributor, but last year she participated in the Fajr Film Festival with “The Old Road” as the latest film as a director. 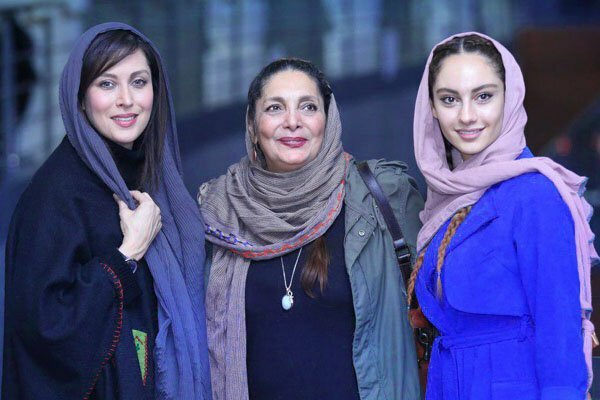 Iranian actress Mahtab Keramati, who has been a UNICEF National Ambassador in Iran since 2006, plays the main role of the film as a victim of violence. Karamati, who has a history of engagement in humanitarian activities, education of children, and awareness raising about AIDS, is the smart choice of Hekmat to play the role of a victim of violence against women in this film. The Old Road, featuring Keramati and Atila Pesyani, has been screened as of September 30 in Iranian cinemas. In her previous works, Hekmat addressed the social problems of women in the community and family. For example, her “Women’s Prison” in 2000 won many awards. Violence against women is one of the most important social problems and a clear instance of human rights violation. Many victims of such violence do not want to disclose it for a variety of reasons. Showing examples of such violence and making the society aware of them can be the first step to contain the social ill. Meanwhile, the media can play an effective role in informing the public. Mahdi Arman is an Iranian journalist who works as the head of the Iran Front Page (IFP) news website's Business Department. He also has a special interest in the latest social and cultural developments in Iran and the world.